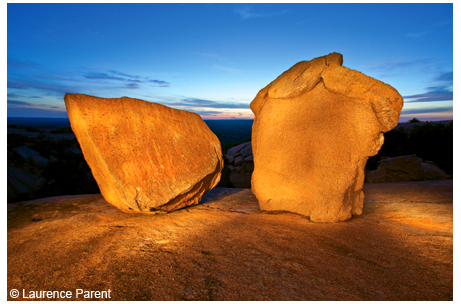 Two boulders on Enchanted Rock's main granite dome at dusk, painted by light. 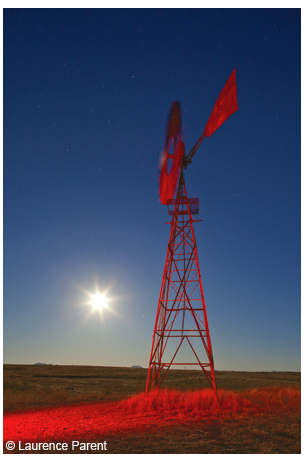 Ranch windmill on the grasslands near Marfa, with a bright full moon. 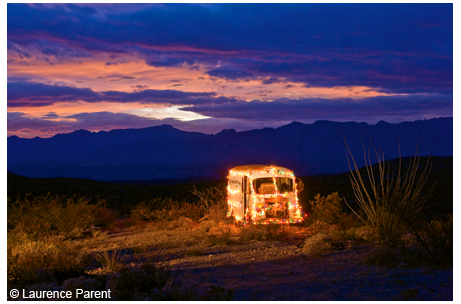 Old abandoned truck with Christmas lights with a sunset backdrop in the desert. 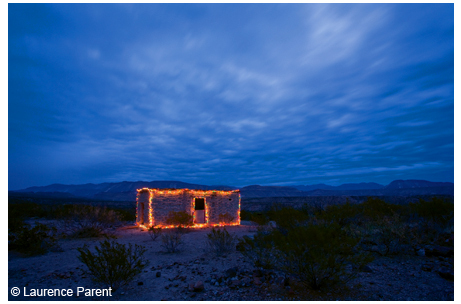 Illuminated adobe ruin in the ghost town of Pueblo Nuevo, Chinati Mountains. 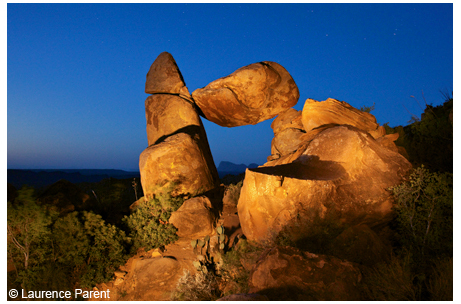 Stone arch created by balanced rock, at dusk with artificial lighting, Big Bend National Park, Grapevine Hills. 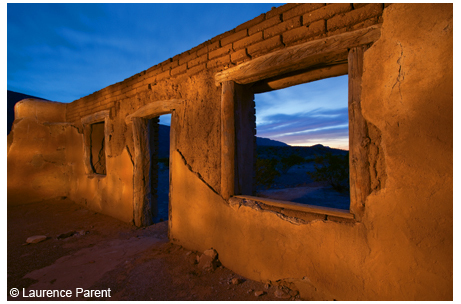 Old adobe house ruin at dusk, lit up with lights, in the Castolon area of Big Ben National Park. 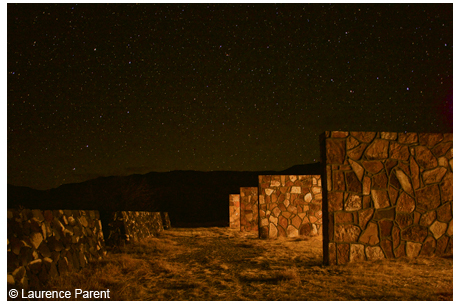 Stone walls created by Donald Judd at his former compound, Las Casas (private ranch in the Chinata Mountains) topped by a starry night sky.